The Cat & the Mouse & The Woman. It's all good -- at THIS MOMENT. Click here for article on Linkedin. A mouse runs into a house and the cat is immediately after it. The housewife seeing the commotion, starts running after the mouse as well. They’re off to trot, the cat and the housewife, both after the mouse, but for very different reasons. One wants the mouse for supper, the other wants the mouse; out of the house. Rabbi Akiva who lived to be 97 years old 137CE was appallingly tortured to death by the wicked Romans. In response to his students, who asked him how he could offer prayers to G-d while being killed, he said to them. "All my life I was worried about the verse, ‘with all your soul’ (and the sages expounded this to signify), even if He takes away your soul. And I said to myself, when will I ever be able to fulfill this command? And now that I am finally able to fulfill it, I should not?" Then he extended the final words, Hashem Echad (" G-d is One") until his life expired with that word. A heavenly voice went out and announced: "Blessed are you, Rabbi Akiva that your life expired with "Echad" One. The question is asked, what did the students really think at that moment? Perhaps Rabbi Akiva would buckle in, and throw out his faith?! 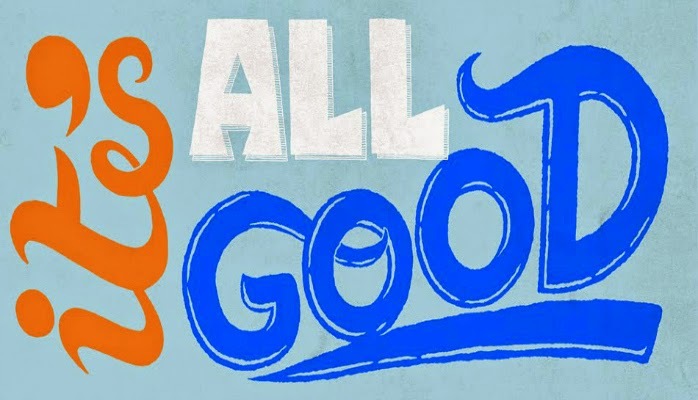 Rabbi Akiva taught throughout his life, all that G-d does is for the good. When someone is going through difficulties and challenges, it’s not that anyone has it in for the person. There is justice in this world, and the wise and compassionate G-d is behind everything. Nothing can happen without the will of G-d for it to be. The whole shebang doesn’t have to make sense in OUR minds, and no one owes us an explanation. G-ds mind is infinite, and the extraordinary mind who put together this precise and stunning universe, is impossible to fathom. Even further, although G-d created the evil and darkness intentionally to test us, and create the opportunity to earn reward, the occurrence itself should be viewed not just as something negative with an ultimate positive payoff, but deeper. The negative itself is the ultimate positive, since that is the way and method that brings the best out of us and the best from G-d, in response to our victory and success overcoming the test. The process of negativity is in truth, a process entirely good and positive, even if it hurts temporarily. The students heard these concepts many times, and worked on implementing and applying them into their lives. However, when they saw how evil the Romans where acting, for a moment they could not fathom anything, whether in the outcome and certainly not in the process that was positive. They asked their Rabbi and teacher, “Teacher, even to this point?” They were asking, are we supposed to accept that there could be an entire positive perspective at this moment in what we are seeing and in what you our dear teacher are going through? To which Rabbi Akiva answered. Yes my dear students. Even to this point. We must know, everything is designed and is deliberate, by an infinite G-d, for our own good, at THIS MOMENT. My entire life, said Rabbi Akiva, every day, when I said the portion of the Shema Yisroel - Hear oh Israel…, in the morning and in the night, I always wondered if I could, and if I would, stand up to the occasion and show G-d my faith and loyalty in Him. THIS, is my chance. When the mouse runs into our homes, there are many perspectives one can take. It is up to each one of us to choose, the one that strengthens and uses the opportunity for what is was intended. FOR OUR OWN GOOD, at this moment. The greatest potential in each one us. Here is the Article on Linkedin. Click Here. Rabbi Shmelke & Pinchos Halevi Horowitz, two brothers, established a very successful Yeshivah – a school of higher Jewish studies in Poland. Not brought up in the tradition of the Chassidim, they were inspired circa. 1764, to visit the Maggid-preacher of Mezritch, the successor of the Baal Shem Tov, founder of Chassidism, to see for themselves what Chassidim were all about. Rabbi Pinchos, who was already greatly recognized for his brilliance & genius knowledge, approached the Maggid-preacher and requested to discuss some of the intricacies of law and the Talmud. The Maggid said, he didn’t have time at the moment, and if he would like to, he could have a conversation with his student Rabbi Zushe. Rabbi Pinchos somewhat offended, decided since he already made the effort to be there, he would follow through and find this Rabbi Zushe. Rabbi Zushe was sitting at the far end of the study hall, minding his own business, reading from a book with a candle at his side, when Rabbi Pinchos comes up to him. Now, says Rabbi Zushe. “What did the opinion who suggested including the Holy Ark think? Didn’t he also consider the fact that it is ten humans that are needed, and the Holy Ark shouldn’t qualify? However, he wasn’t thinking of the simple wood that encases the Holy words of G-d, written on the parchments of the Torah. He was suggesting, that the soul inside a person, which is “the candle of G-d”, is so Holy, that the holiest object we have here on this earth – the Torah inside the Ark, would perhaps equal the energy generated by the one more soul that was needed. Rabbi Pinchos was extremely familiar with this simple discussion in the Talmud, but had never thought of the discussion on a personal soul level as was just proposed to him. The rest is history. Rabbi Pinchos became an ardent follower of the Maggid of Mezritch. Yes it is true each one of us has within ourselves, encased within our bodies, a most powerful potential, a G-dly power, an infinite source. Our job in our lifetime, is to break through the filter and veil that is in the way, the body, so we receive, absorb and transform our physical existence to a spiritual awareness and experience. This is accomplished every time we perform with our physical bodies another Mitzvah - G-dly act. Carrying through with your resolutions. Not always easy. Click here for article on Linkedin & comments. 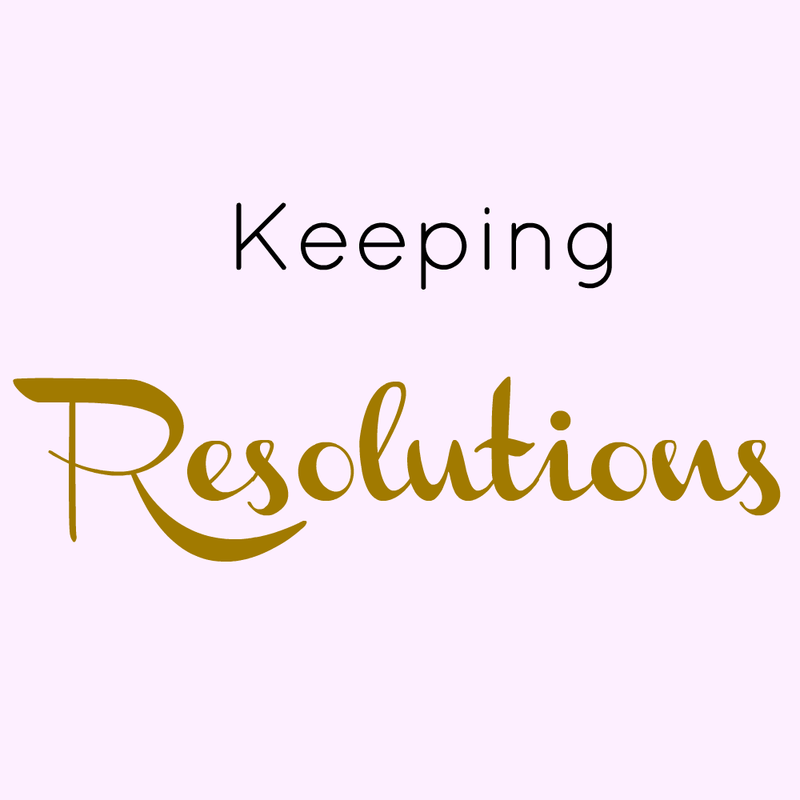 We all know, making resolutions is a lot easier than carrying them out. How do we overcome this difficulty? “I am G-d your G-d who took you out of Egypt, widen your mouth and I will fill it.” In Hebrew the word for Passover (Exodus) is Pesach – “the mouth that speaks a lot”. All the commandments of the Passover night Seder, are related to the mouth. Drinking the four cups, eating the Matzah and the bitter herbs, and recounting the story of Exodus. If that’s not enough, the name of the month in Hebrew is Nissan, which is the numerical value of 170, two times the word mouth- Peh in Hebrew! The two portions of the Torah that follow Passover, deal with the rules of kosher – the esophagus, and the week after that, the rules of not speaking gossip – the windpipe. Together with the Passover itself there is a sequence in the number of three, which in Jewish law makes it significant, all related to the mouth. Inside the mouth, lies the answer to slavery and freedom. Chassidic philosophy explains, the spiritual slavery which constricts, restricts and constrains the person, all starts with not acknowledging a very important reality. 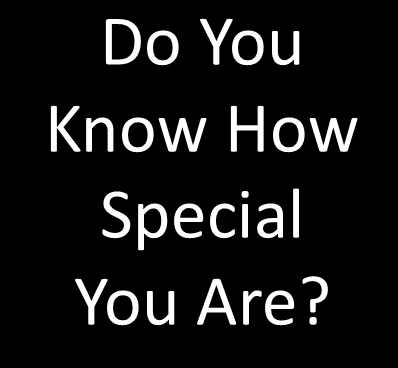 The key aspect which differentiates a human being from any other creature is that we are not our bodies. We are not by birth, slaves to the drives and emotions of our natural tendencies. Other creations and creatures are not aware of themselves in third person. A tree and a house, animals and flies, all operate and are forced by their natural characteristics, while humans are endowed with a G-dly ability to choose and decide their own destiny, due to the fact that G-d blew a soul into our nostrils, to conscientiously through acquiring knowledge, choose the right and proper choices. Once we make the effort, which is what is takes, to pursue knowledge, and we learn about the good the bad and the ugly, this awareness becomes the many possible choices available to choose from. However, conclusions of the mind before they can influence a spark and trigger the emotions in order to get the person moving in the right direction, must past through the bottle neck of the neck and herein lies the problem and the solution. The neck is narrower than the head above, and the body below. The neck contains within it the windpipe, the esophagus and the arteries of life. According to Chassidus it is the constant self-indulgent pursuits of life itself, like living to eat tasty and pleasurable delights, speaking words that serve the self especially when at the expense of others and just plain living just to enjoy oneself, narcissism and hedonism, that create the barrier and thick dark separation that holds back any chance of spiritual wisdom from reaching and exciting the emotions. The more a person immerses himself in the flesh, the coarser and less likely it is for the refined and yet powerful intellect is, to affect and move the emotions. Conversely, the more a person uses their lives and particularly their mouths and all that’s in it (eating, speaking and living) for a higher spiritual end, the easier, the greater and more powerful the flow will becomes from the conclusions of the wisdom to below. Someone once wrote to Rabbi Schneerson for a solution to the problem and difficulty of carrying through with ones resolutions. The Rebbe, Rabbi Schneerson told him to write on paper his resolutions and read it out loud, once before the bed prayers and once before the morning prayers. Another solution is, in the words of our sages, – “voice arouses ……” to read out loud. When we are doing our daily prayers, and learning our daily Torah studies, to speak out loud the invigorating and strengthening words that we are reading. To enunciate the words clearly. This alone can and will connect to some degree, the thoughts of our mind with the wind in our bodies to assist with the feeling of the heart. The story of Passover & Liberation in each and every individual’s life. We all start life with the needs of our body. From there we become Bat/Bar Mitzvah at respectively the ages of 12/13 and from then on we evolve into maturity. At this stage, responsibilities start in earnest and the accomplishments of life have the potential to express themselves. How is this all related to Passover and the Exodus? We are commanded to see ourselves as going out of Egypt, everyday! More than any other event, the Bible repeats the going out of Egypt 50 times! We know how careful the Bible is with every letter, and here the Bible, G-ds word to the world, repeats the narrative fifty times! First, the Israelites came down from Israel to Egypt and eventually became enslaved by King Pharaoh. The decree was for all children to be thrown into the river Nile. Not one person ever managed to escape Egypt. All seemed hopeless. Moses shows up and tells the Israelites he represents the G-d of their ancestors, Abraham Isaac and Jacob and he is going to liberate them. Until Moses showed up on the screen, the possibility for freedom didn’t look plausible. Once the leader Moses inserted the possibility, new options opened up for them, even though it still seemed at a very far distance. Although many of them found it difficult to believe that is was possible after all those years to be free and in control of their own destinies , and for a while life got even tougher, they cried out to G-d in complete faith and trust, for help. They realized it was humanly impossible to do all on their own and opened their hearts to receive a higher power, the source behind everything, G-d, into their lives. Once they made the vessel to receive G-d through prayer, G-d responded with assistance by plaguing the force of evil, which culminated with the great revelation of G-d on the night of Passover. G-d passed over, and allowed to remain alive, all those who demonstrated their faith and loyalty to Him, and killed all the forces of evil who were acting wrongly against the Israelites. This great revelation of G-d, chased darkness away, and led to the freedom of the Israelites the very next day. Although they were no longer in Egypt, the fear of the Egyptians was still very much there, in their hearts. After so many years, it was not possible to wipe out the dread and horror in one moment. The final great big event that put the past behind them, so they would begin their trek in the wilderness towards their own land, was the going through of the red sea. Seven days after leaving Egypt, after Nachshon jumped into the water following the command of Moses to “keep on going”, the sea miraculously opened up before them, and after they went through and saw the Egyptians dead before their very eyes, they were released from their past and started to look forward to receiving the Ten Commandments 50 days later. What first started out as a deep and powerful concealment of spirituality in great physical hardships, ended with the greatest of blessings between them and G-d. All three million of them, personally witnessed the giving of the Torah – G-ds wisdom for the world. Passover is prime time to draw inspiration and real strength in the journey of life. The story of our ancestors is implanted in each one of us and is indeed the journey each one of us must go through if we are to reach the purpose we were put here to begin with. A baby, is a soul that descended from on high into a fleshly existence. The first years of a person are self-absorbed and self-centered, very much body oriented. At some point we become aware of the possibility of a higher existence a deeper and more meaningful reality. At this point, with all the habits and routines it’s not always easy to positively change and liberate ourselves. Turning to G-d though prayer and humility, opens us up for greater strengths. In the end, we see how everything we encountered made us stronger and wiser. With lots of patience and faith, in the end, we become more than what we were. By observing the 15 steps of the Seder, the numerical value of G-ds name, this year on Friday and Saturday nights April 3, & 4, we attach our physical bodies with the energy and spark for the personal freedom we yearn and are given the strength to realize.